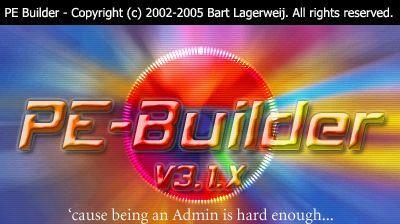 Bart’s PE Builder is an application used to create Bart PE system images, allowing you to build bootable Windows CDs or DVDs from Windows XP or Windows Server 2003. Bart’s PE Builder provides a complete win32 preinstallation environment, including network support, a GUI (800x600) and FAT/NTFS/CDFS file system support. Bart’s PE Builder is very useful for file recovery, for virus, rootkit and spyware scans or for resetting lost administrator passwords. You need a valid copy of Windows XP or Windows Server 2003 in order to be able to make a bootable Windows CD or DVD with Bart’s PE Builder. Bart’s PE Builder is not a Microsoft product and does not create Microsoft Windows Preinstallation Environment. Microsoft does not provide support for PE Builder or for the preinstallation environment created by Bart’s PE Builder.